Exhibition Bikeexpo-2013: Extreme high concentration and velosemeynye value. Home » News and events » Exhibition Bikeexpo-2013: Extreme high concentration and velosemeynye value. Spring of this year, will please fans of cycling and active lifestyles another large-scale event. 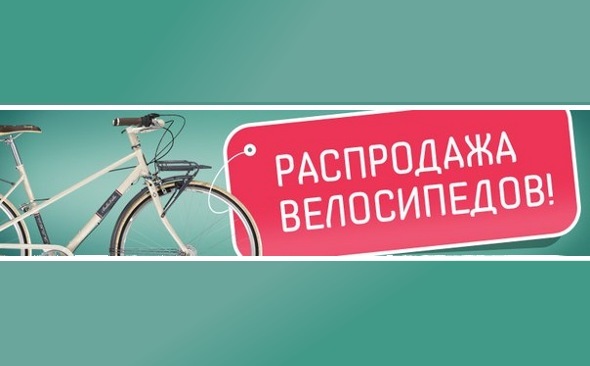 Less than a week later, and more particularly from 14 to 17 March, that is, just after the first of this year's global velotusovki - "Velobayk 2013" - will host an exhibition bicycle equipment, accessories and components Bikeexpo-2013. At this time, the guests and participants from all over Ukraine and other countries will take the International Exhibition Center (Subway Livoberezhna). For anyone who has not had time to open velosezon "Velobayke" exhibition Bikeexpo-2013 - a good excuse to meet again after a long winter. Their participation in the exhibition "Baykekspo" confirmed the set of the leading manufacturers of two-wheeled machinery, as well as distributors velobrendov known in our country. Visitors to the event will be able to familiarize with the best cycling industry products, new products, the latest developments and design solutions as well as advanced materials for maximum comfort and health of employees cycling. The exhibition is held for the second time. Like last year, the feature of this sports event will be simultaneous with the "Baykekspo" exhibitions "motorbike" (motorcycles) and the exhibition of sport and active leisure "Active-Sport". Add to this the fact of a rich program, the international composition of the participants and guests - and get the concentration in one place a huge amount of extreme athletes, the bicycle industry professionals and ordinary fans of a healthy and vibrant holiday. For example, last year three events gathered under one roof more than 26 thousand people, and this year the organizers promise even more mass action! What is the world of bicycles will be able to see visitors? In addition to the wide variety and range of bicycles (FREESTYLE, BMX, walking, racing, mountain and children) of the leading brands on the exhibition grounds ICC also will feature equipment for bicycles, in particular bicycle computer, as well as brake Formula T1 limited edition, clothes and shoes Cycling. A separate section of the exhibition will feature electric bicycles, as well as protective equipment. Those who come to the exhibition "Baykekspo" for fresh ideas, will be able to find inspiration in the stands dedicated to cycling. In addition, all fans velonovinok and those who will come to look after yourself a new two-wheeled friend, and just drive fans expect a big surprise - the territory of the exhibition there will be a platform for a test drive technology participants. Another feature of this year's event will be the collective stand of the Italian velokompany united under the auspices of the famous Italian velozhurnala INBICI. Such a precedent has had no analogues in our country. In addition, the exhibition "Baykekspo" will be filled with master classes, which will be held, including foreign specialists in cycling. The organizers of the exhibition was known for its exhibition activity since the 90s the company "Proekspo." The exhibition on a separate site will also host the second championship «BIKE-EXPO CUP-13." For the title fight will be 30 athletes from our country, performing incredible stunts and jumping on their bikes. There are two categories of the competition - BMX and MTB, so be sure to look at that! And lastly, on the last day of the exhibition will be organized by "Family veloden." As part of the "BIKE-EXPO 2013" organizers will hold for young cyclists and their parents master classes, practical classes on the art of cycling coach, relay races, as well as rewarding teams champions children's cycling, "We - the champions!". It will also participate in the exhibition "Baykekspo 2013"
As with the first Ukrainian exhibition preduduschey network rental, sales and service bicycles Veliki.ua presents the exhibition car trailer to transport bikes to support group bicycle tours Bicycle TRoops Carrier-14M1 / Repair (BTRC 14M1 / R). We lovingly call him "Velodesant-14", also known as mobile rental .. Despite the fact that this new vehicle has no analogues yet in the Ukrainian market, it has all the necessary government permission after successful completion of all sorts of tests and inspections ! Besides stands with bike covers and reflective jackets, we will also be presented in sections veloreklamy, repair and bike rental. On "Baykekspo 2013» Veliki.ua presents super-novelty bicycle flashing lights - laser bicycle lane. With this lamp you will become more visible on the road, as the flasher projects two laser lines visible on the sides, clearly delineating the space legally belongs to cyclists. 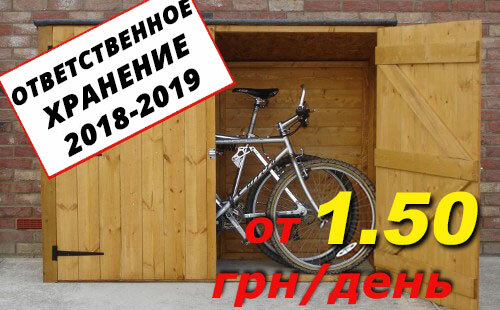 The team also will please all lovers of cycling a new bike fun for Ukraine - "Barbarians against the Romans," will provide an opportunity to drive a couple on a tandem, and fathers and mothers will provide an opportunity to take a ride on the family velopoezde! Also on our stand you can fill in a questionnaire and participate in rozygrashe prizes from our network. Schastivchiki can win - bike flasher bicycle lane, bicycle cover, jacket with reflective strips, gift certificates for repairs and bike rental, discount cards can also ask questions to our colleagues Tours in Crimea and win the right bike tour in the Crimea! Come to "Baykekspo 2013", participate and enjoy a pleasant and useful pastime! At our booth, you can also taste the Crimean tea! Free!